You may not be ready to run, jump and leap across buildings, but Mirror's Edge Catalyst allows you to unleash your inner Faith Connors and experience the next best thing. We chatted with EA DICE's Arvid Burstrom, Technical Artist; Jhony Ljungstedt, Art Director; Mikael Linderholm, Technical Art Director; and Amo Mostofi, Producer, about their latest game. Mirror's Edge Catalyst © 2016. Image courtesy of EA DICE. How did DICE become DICE as we know it today? It started with a demo group of 5 students who were developing Amiga games in 1988 in their spare time and released their first big game, Pinball Dreams, in 1992. We were originally named 'Digital Illusions' and eventually tacked on 'Creative Entertainment' - that's where DICE comes from. The company grew as it was merged with fellow Swedish developer, Refraction Games, in the early 2000s. The next game we developed that gained a significant following was Codename Eagle, but the first major game we released was Battlefield 1942. That game established us as a AAA studio and it was the beginning of a big hit series as we went on to make over a dozen Battlefield games in the years that would follow. Outside of the Battlefield series, Mirror's Edge was released in 2008, we made Star Wars Battlefront last year, and just completed Catalyst. 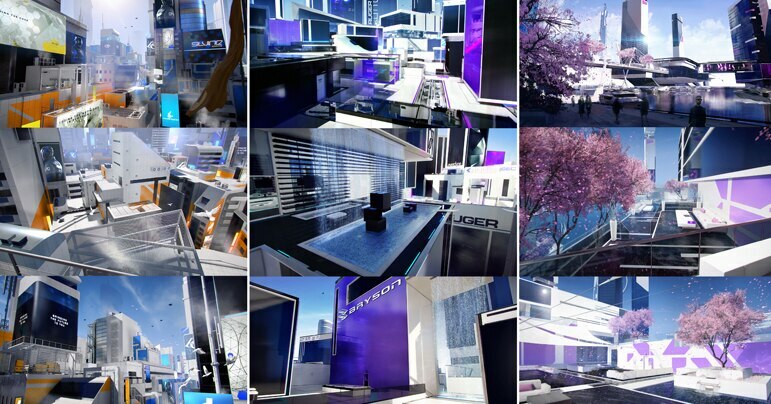 So what is Mirror&apos;s Edge Catalyst all about? This game puts the player in the shoes of the young runner from the first game, Faith Connors. She's essentially a messenger/courier who takes part in corporate espionage in the city of Glass. When the player takes over and starts playing as Faith, she's just been released from juvie and one of the early missions that she takes part of begins pretty standard but proves to be far more complex. In the first Mirror&apos;s Edge game, we didn&apos;t get to know Faith Connors much. Does Catalyst build up on that? 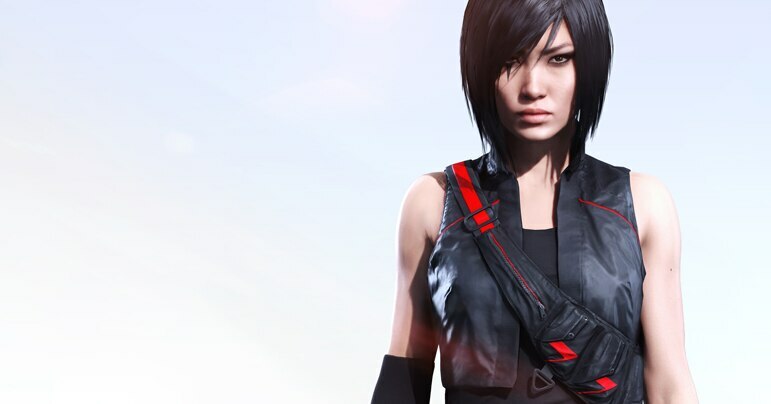 Catalyst is a reboot of the first Mirror's Edge game, so it doesn't really build on the story from the original. When we decided to make Mirror’s Edge Catalyst, we looked at the original game and asked ourselves what was strong about it. Upon closer inspection, we established that Faith was that key element. The character, the gameplay in terms of movement, the art direction and the audio - the four pillars - were what had made the first game a success. Our narrative director Christofer Emgård has built this fantastically rich world where Faith is the center but there's so much more happening around her in terms of story, world and supporting characters. What are some of the new elements that help us get to know Faith? With Catalyst, we wanted the players to connect more with Faith so we moved away from the 2D cutscenes that you see in the first game and opted for realistic motion-captured cutscenes. This level of realism and intimacy helps the player better relate to Faith, as we see her expressions, her emotions, everything that makes her strong. One of the tricky parts of making a first person game with a strong character is that you don't see yourself [the character.] So we ensured that the player would be able to see a lot of themselves throughout the game via reflections. By seeing themselves in reflective surfaces, Faith Connors will feel extremely present. The one thing that always comes up when discussing Mirror&apos;s Edge is the unique and clean look of the world. It&apos;s completely different in contrast to the gritty and cluttered environments most games portray. How did the city of Glass and its stark aesthetic come about? We reflected on the look of the first game - it boasted this beautiful white world and it was distinct and very unique in its appearance. It was hard for us to break down what made it look beautiful, so we started listing keywords to describe it. The word "elegant" stuck early on, and through association, elegance became minimalism, and minimalism is something that is very controlled. Control is a major theme in the game's totalitarian world, so for us, it all fit together. We stripped down as much detail as possible in efforts to make everything in the world essential to the game, important and relevant to the player. A lot of studios stick to developing one type of game, and we&apos;ve noticed that isn’t the case for DICE. How do you keep your games so diverse yet successful? That comes down to the talent that we have at the studio. 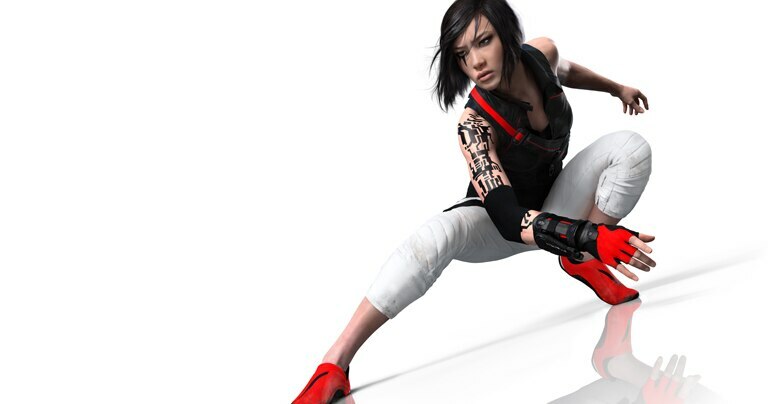 The Mirror's Edge series is DICE's passion project, which allows us to push the design, art and gameplay boundaries that we set on ourselves for our other franchises. At DICE, we always maintain that underdog mentality despite the fact that we probably are one of the biggest studios in the world right now. We're always looking for something that's going to be more fun, interesting, and innovative that we can push forward. We're never fully satisfied with our work, which keeps us pushing ourselves - it must be the Swedish mentality! I think that's how we maintain the quality of everything we do. We know that when it comes to visuals, we're quite good at making beautiful looking games - but it doesn't mean that we're done. You can always push further for the next project. EA DICE used Autodesk Maya for modeling in the development of Mirror's Edge Catalyst, as well as MotionBuilder for motion capture. The game is now available on consoles and PC.